AT&T today said the Windows Phone 8.1 system update is now available to the Nokia Lumia 920 and Lumia 820. Both devices gain Cortana and a host of other features with the new operating system. It is free to download and install. AT&T will begin offering the GDR2 and Amber system software updates to the Nokia Lumia 820 and 920 later today. The company posted information about the update in its community forums and an AT&T spokesperson confirmed the details with Phone Scoop via email. The GDR2 update, which comes from Microsoft, improves XBox Music and how the devices manage storage. The Amber update comes from Nokia and adds features including an FM radio, flip-to-silence, Nokia Smart Camera, and call/SMS blocking. According to AT&T, Lumia device owners will be notified by their handsets when the update is ready. It can be downloaded and installed over Wi-Fi. Nokia is pushing out a significant system update to its Lumia smartphones. The Amber update, as it is called, adds a number of features to devices such as the Lumia 521, 820, and 928, which are sold by T-Mobile and Verizon Wireless. First, the update adds the Nokia Smart Camera application. This app first debuted on the Lumia 925. It includes features such as Best Shot, Motion Focus, and Action Shot for capturing more artistic images. The Amber update also adds the Nokia Pro Camera application to the Lumia 928. The Pro camera app is the same, powerful app found on the Lumia 1020. It offers granular control over most of the camera's features. Other features added with the Amber update include the Nokia Glance Screen, which populates the display with a clock and status indicators when the phone is locked. The Amber update also adds flip-to-silence and double-tap-to-wake, as well as better controls for managing on-board storage. Timing of the Amber update is up to each carrier involved. Neither T-Mobile (Lumia 521, 820) nor Verizon Wireless (Lumia 928) has said when they will offer the Amber update to their customers. 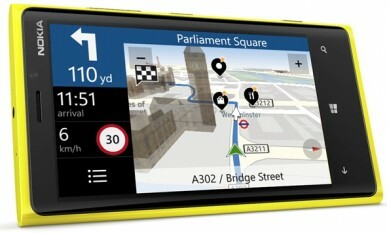 Nokia recently announced a new operating system update for both the Lumia 920 and Lumia 820. According to Nokia, the update mainly fixes bugs and improves performance. Specific fixes include enhancements to display stability during a call, and improved automatic display brightness adjustment. Nokia is already offering the update to versions of the 920 and 820 outside of the U.S. Neither AT&T nor T-Mobile USA has yet said when they will make the update available to their variants of the 920 and 820, respectively. Nokia today announced Nokia Music+, a more feature-rich version of its free Nokia Music service. Nokia Music, which is available on Lumia Windows Phones, has its own store through which tracks and albums can be purchased. It also offers streamed radio stations and personalized recommendations. Nokia Music+ goes beyond these features for those willing to pay a monthly fee for it. Nokia Music+ gives listeners unlimited skips, unlimited downloads to their phone, higher quality music streaming, access to song lyrics, and a desktop client that allows subscribers to stream music to their PC. The service will first be available in European markets in the coming weeks for â‚¬3.99 per month. Nokia Music is available in the U.S. on devices such as the Lumia 920 and Lumia 820, but Nokia has not explicitly said if Nokia Music+ will be made available in the U.S.
Nokia today confirmed that it will produce no more devices using its old Symbian smartphone platform. Buried in its fourth quarter results, Nokia said, "During our transition to Windows Phone through 2012, we continued to ship devices based on Symbian. The Nokia 808 PureView, a device which showcases our imaging capabilities and which came to market in mid-2012, was the last Symbian device from Nokia." Nokia has already sold off most of the business units related to Symbian. The company first announced its intent to switch from Symbian to Windows Phone in February 2011. It released its first Windows Phone Lumia smartphones in late 2011. Its most recent models include the Lumia 920 and Lumia 820/822. Nokia sold 4.4 million Lumia devices during the fourth quarter of 2012, 700,000 of which were sold in North America. Nokia still sold 2.2 million Symbian devices. The company recorded a profit for the first time in six quarters. Microsoft today announced that a beta version of Nokia's Drive+ navigation application is being made available to all Windows Phone 8 devices in the U.S., the U.K., and Canada. The app had previously only been available to Nokia's Lumia-branded Windows Phones. The application features turn-by-turn voice-guided navigation, offline maps, speed limit warnings, and day and night modes. The app includes a feedback mechanism so users of the beta service can provide feedback to Microsoft and Nokia. Nokia Drive+ Beta is a free download from the Windows Phone Store. Nokia today announced an update to its Cinemagraph lens in order to improve sharing options on social networks. Since some social networks, such as Facebook, don't support animated GIFs directly, the updated Cinemagraph lens allows users to post their GIF to Nokia's servers. They can then provide a link to the GIF in a social media post, email, or other message. When message recipients or others click on the link, they'll be taken to Nokia's servers, which will display the animated picture in their browser. The update is free for Nokia's Lumia Windows Phone devices. 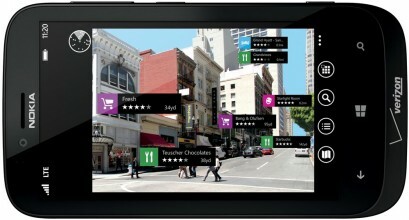 Nokia today announced a new application for the Lumia 920 and Lumia 820 called PhotoBeamer. PhotoBeamer lets people more easily send photos from their device to a large screen for sharing. Lumia device owners interested in sharing their photos must install the app on their phone and use the app to scroll through their photo gallery. Then they need to open PhotoBeamer.com on a PC or other device. The web site reveals a large QR code. The phone-based app can scan the QR code and then automatically uploads the selected images from the phone to the web site, where they can be viewed on the PC or display. PhotoBeamer works over 3G, 4G, and Wi-Fi. The technology that makes the app work was acquired by Nokia when it purchased Scalado. Verizon Wireless today announced that it will soon offer the Nokia Lumia 822 smartphone. The 822 is a customized version of the Lumia 820, which was announced earlier this year. The external design has been altered a bit to make the device unique. It has a less rectangular look and replaces the sharp corners of the Lumia 820 with rounded edges. It supports Verizon's CDMA 3G and LTE 4G networks. Other features of the Lumia 822 include an 8-megapixel camera, 1.5GHz dual-core Snapdragon processor, 4.3-inch Super AMOLED display, and NFC. The Lumia 822 runs Windows Phone 8 and will be available later this month for $99.99 with a new contract. 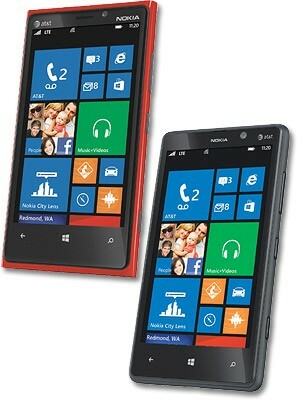 AT&T today announced that it plans to sell both the Nokia Lumia 920 and Lumia 820 devices beginning in November. 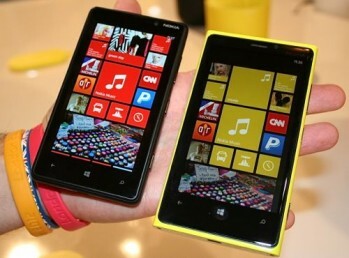 The two Lumia smartphones run Windows Phone 8. 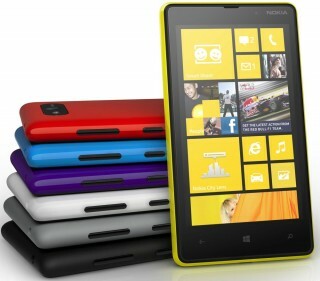 The Lumia 920 will be offered in red, white, black, yellow, and cyan. The Lumia 820 will only be offered in black. Both devices will run on AT&T's LTE 4G network. Pricing and exact availability were not provided by AT&T.